View cart “Hemp Oil Drops 1500mg CBD (Cannabidiol) (15%)” has been added to your cart. 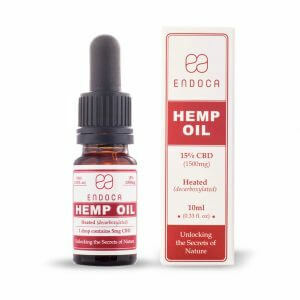 Here at Endoca, having CBD oil for sale is perhaps what we’re best known for. In fact, we offer both CBD hemp oil drops and RAW hemp oil drops. Both can be taken sublingually (like a CBD tincture). Now, you can experience the wonderful benefits of CBD as it works with your endocannabinoid system to keep everything balanced. So, what are you waiting for? Discover the power of CBD with our best CBD oil products. CBD oil contains the plant compound CBD (also known as cannabidiol). The CBD compound is found in cannabis sativa (one of the Latin names for this type of cannabis). It’s one of over 100 natural compounds (also known as cannabinoids) found in the plant. Our CBD oil is derived from the hemp plant in particular — a member of the cannabis plant family. It is completely legal because it contains no more than 0.3% THC — another natural compound that’s responsible for making you ‘high’ when present in high doses. Because our CBD oil contains such small amounts of THC, it is non-psychoactive and completely legal. What are the benefits of CBD oil drops? CBD works with your endocannabinoid system. This is your unique biological system that’s made up of your body’s wide network of receptors and chemical compounds, maintaining balance (or homeostasis) within your body and mind. CBD has the potential to restore overall balance by stimulating cannabinoid receptors related to inflammation, pain and anxiety — among others. By taking hemp oil in liquid form under the tongue, you’re able to feel the effects of CBD quicker than some other methods. When CBD oil is placed under the tongue (known as sublingual) it enters the bloodstream quickly via the capillaries under your tongue. Our CBD oils feature cannabinoids, omegas, vitamins and minerals that are sometimes missing from our diets. So in one little oil drop, you’ll get all this and more. Our hemp oil includes the perfect 1:3 ratio of Omega 3s and 6s along with free-radical-fighting Vitamin E. It’s also free from herbicides, pesticides, chemical fertilizers and is certified organic. To learn about the potential health benefits of CBD, check out our benefits resource. What’s the difference between our CBD hemp oil drops and RAW CBD hemp oil drops? CBD hemp oil drops: are made with the whole hemp plant containing both CBD and CBDa. These are extracted using CO2 without any chemicals. The raw hemp material is then filtered and gently heated for the CBDa to transform into CBD. This keeps all the most important active molecules in the plant intact. 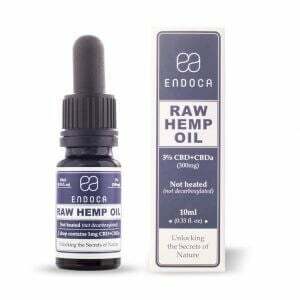 CBD RAW hemp oil drops: products are still extracted in the same way as hemp oil drops, however they aren’t subject to any heat during production, so the CBDa that has not been naturally decarboxylated by the sun and drying process is left intact, and is another cannabinoid which is also thought to have positive effects on other non-endocannabinoid receptors and enzymes. 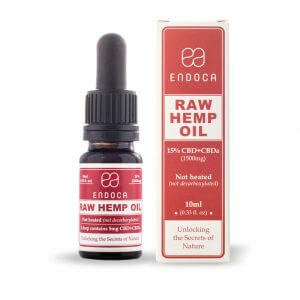 As a result, this is why our RAW hemp oil products are popular amongst those who follow raw food diets. Our Raw CBD hemp oil maintains the fullest possible spectrum of cannabinoids, terpenes and flavonoids from the original plant — all preserved as no heat has been applied. Is CBD oil the same thing as CBD tincture? CBD oil and CBD tinctures are essentially the cannabidiol compound suspended in an oil solution. There are multiple methods of creating them, and each method has different results. For example, purer oils and tinctures are generally made through the CO2 extraction method. This maintains whole plant extracts and other cannabinoids found within the plant. Other CBD oils and tinctures can be made through alcohol extraction where the hemp plant material is covered in an alcohol solvent to remove the plant compounds. And lastly, oils that only contain the CBD compound are typically made from isolated CBD mixed with an oil, like coconut oil. As a result, all CBD oils and tinctures can vary in strength. The potency of these oils and tinctures all depends on the amount of mg’s of the CBD compound are contained in each oil. The purity and quality of CBD tinctures and oils is dependent on the quality of the hemp plants used and the method of extraction. 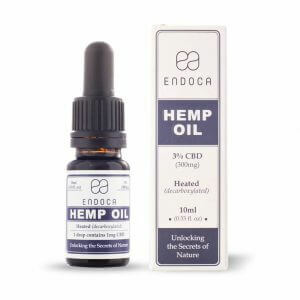 Here at Endoca, we recommend and sell organic full spectrum hemp extracts, as we believe you can potentially gain more of hemp’s benefits by taking a diverse blend of plant compounds that are abundant naturally in the plant. And in combination with our clean CO2 extraction method, we believe we provide a cleaner and purer result, leaving no risk of impurities and residual solvents that could potentially be harmful. CBD tincture oil and CBD oil can be placed under the tongue using the dropper provided. When using CBD oil under the tongue, it’s easier to vary your dosage. It’s worth bearing in mind that everyone is different and so each person may react differently to the same dosage. However, as a general rule, it’s best to begin with one drop and work your way up to your CBD ‘sweet spot’. This is known as the up-titration method. Both CBD oils and CBD tincture can bypass digestion if taken sublingually. The result? It can reach the bloodstream much faster compared to other ways of taking CBD oil.